Brother and sister, have been making things together since 1996. Based in Cornwall, they work all over the world making theatre, creating artworks (mainly out of mud, plants, steel and mosaic) and setting fire to things. There is a resonance, an echo, in the painting of the Sura Medura boats that I hadn’t seen. It was an activity of such blazing similarity that I can’t believe I failed to recognise it. 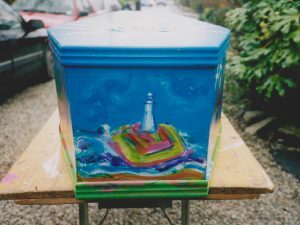 My sister Di reminded me – ‘The last things you painted were Mum’s and Dad’s coffins’. 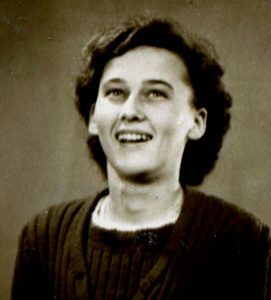 Early in 2004 Mum died very suddenly and unexpectedly of a heart attack. Apparently hale and hearty, busy with her plants, her classes and lunches with friends, we hadn’t expected her to be the first to go. Dad had been gently fading in a nursing home for a few years. Every time we had visited he seemed more fragile, papery, scrubbed an unfamiliar pink. Somehow we managed to get him to her funeral, where there was a poignant double leave-taking by their friends. Four weeks to the hour after her funeral he followed her. Both of their ceremonies were devised by Bill, beautiful rituals, full of poetry and live music. The family painted their coffins. 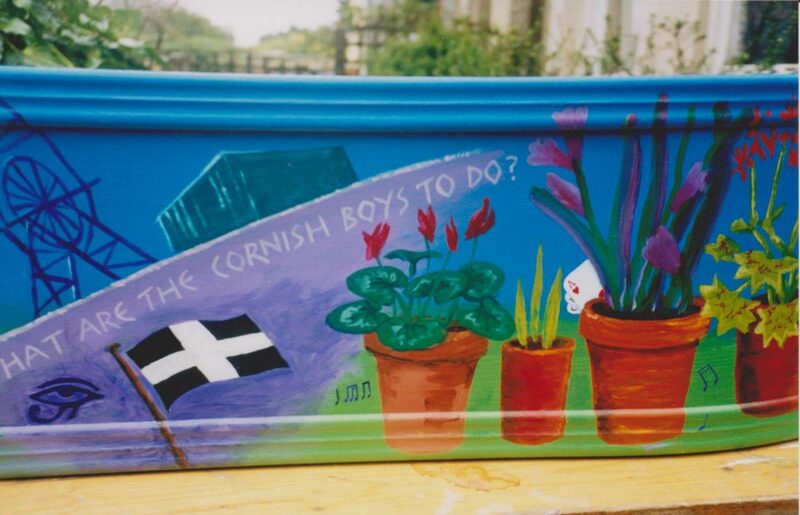 Mum’s was decorated with all the things she loved – children, plants, protest, her hens, Cornwall, dogs, mountains, Godrevy. 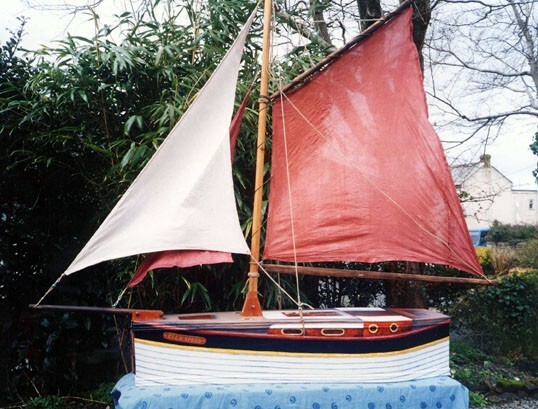 We turned Dad’s coffin into his beloved boat, ‘Ella Speed’, complete with full sailing rig. The mast, bowsprit and gaff meant that it was too big to fit in the usual horrid curtained slot, but sat proudly in the middle of us, so that people touched it as they left the chapel. The activity of painting the coffins together was sad, funny, calming. Time slowed. We talked about them, mused on what they would have made of our efforts, planned the ceremonies, held each other. ‘My mother was of the land. She was a passionate gardener, could strike any cutting, germinate any seed. As children, my sister and I weren’t interested in plants or gardening, except when the gladioli blossoms might provide ball gowns for our dolls. Then gradually as we grew older we came to gardening too, whether by nature or nurture I’m not sure. My sister earns her living by propagating plants, I use them in my artwork. We share an allotment. We have come to love the investment of time and waiting that plants demand, and the alchemy of water, sun, seeds, manure. 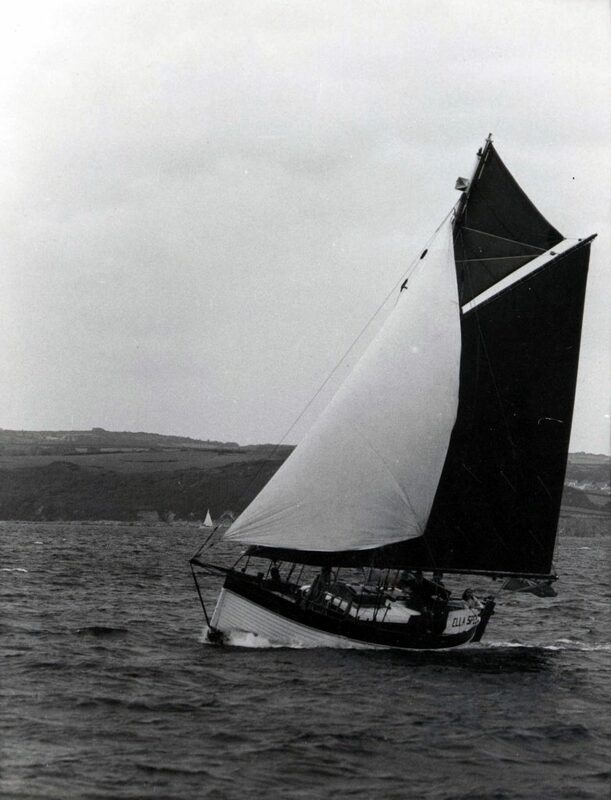 My father had a sailing boat, an old gaff cutter, which took all his resourcefulness and ingenuity to keep afloat. My sister and I were his crew, rowing the dinghy to and fro, pumping bilges, catching breakfast, hauling anchor, climbing the rigging, taking the helm. 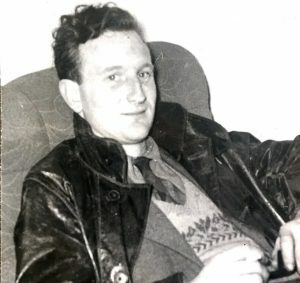 On a sea trip, over the Channel or across to the Scillies, he would wake me at 6.00am, set me a course to follow and I would have the watch while he slept. If anything should go amiss or if the weather changed I could wake him with a shout. But I never did. Those dawns were very special, privileged, alone with the sea, the wind, the diving gannets, feeling at once very small but also very big, with responsibility for my father, my sister and the boat. I have always been afraid of the sea. 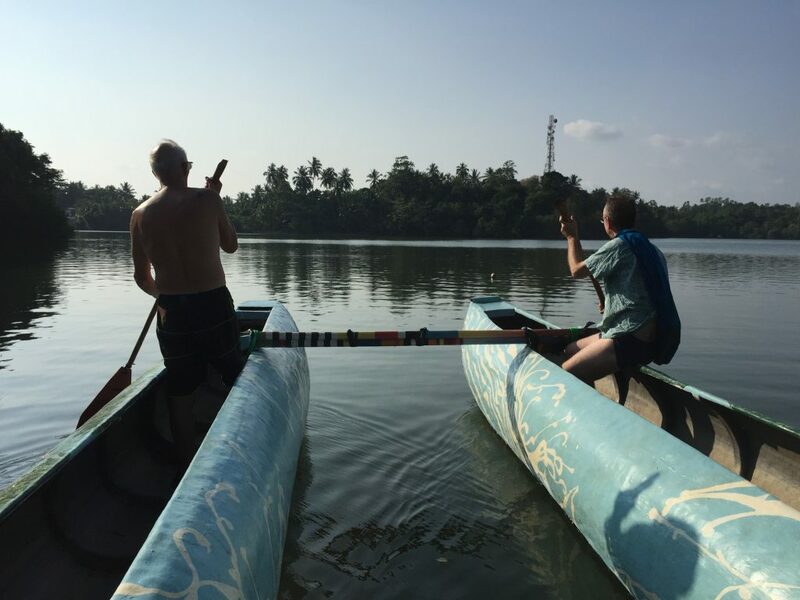 My intention was to row back to some core inspiration, before Bill, before theatre even, to find again my connection with nature and an innocent, more playful response to it. I didn’t expect my course of inquiry to be about grief and loss, that Bill would be so profoundly present for me. The application of tropic heat, startling beauty, tragic personal stories, the constant sound of pounding surf, little stings of homesickness, all serve to peel you like a mangosteen, leaving you tender to unexpected new/old ideas. I abandoned my original proposal, left Mum and Dad behind in Cornwall and set off to listen to stories from people who had survived the Tsunami or other personal loss, to understand and record their journeys back through grief towards life, perhaps in some way finding a mirror for my own experience. How curious it is that all of these themes have somehow found their way back into the work, no matter what my intentions were. 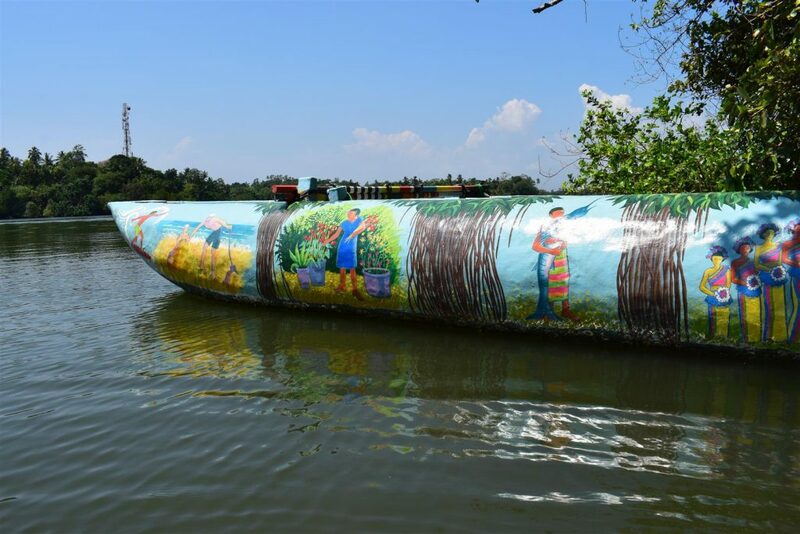 Boats, grief, coffins, painting as a way of soothing grief, boats as a metaphor for change/death/transformation, naive images of the sweet everyday as a counterbalance to the howling chaos of loss. Pete and I have often made boats – in Africa, on the banks of the Thames, on fire in a quarry, in the palm of a sea god. 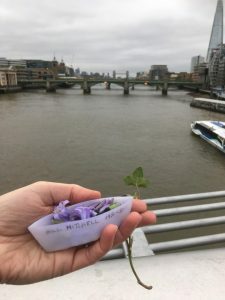 I launched 65 tiny wax boats on the Thames for Bill, one for each year of his life. There is something in the archetype of ‘boat’ that summons our dreams and accepts many layers of meaning and ambiguity. Good poetry.